Luxembourg’s long-serving Prime Minister Jean-Claude Juncker officially announced he would resign following a spying scandal involving illegal phone-taps and other illicit activities. The announcement comes as Juncker’s junior coalition partner called for the dissolution of the house and early parliamentary elections. 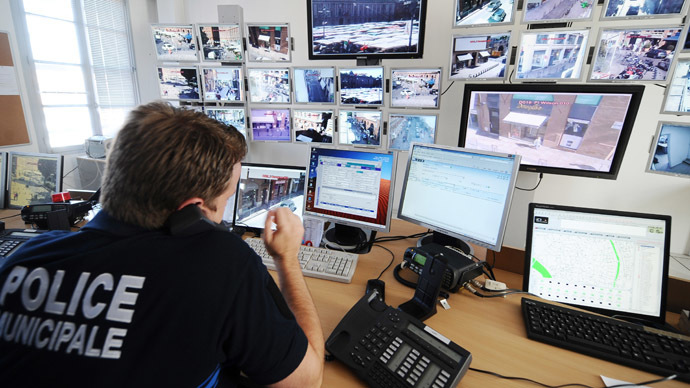 Juncker’s departure follows allegations the country’s security services abused their power under his watch, including illegally bugging politicians, purchasing cars for private use, and taking payments and favors in return for access to local officials from 2003 to 2009. 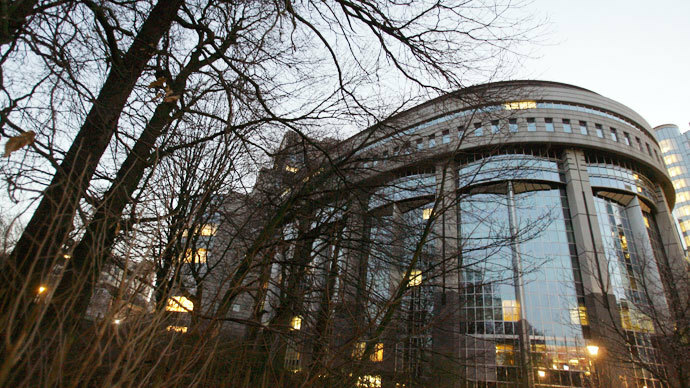 A report commissioned by Luxembourg's parliament into the matter determined that Juncker failed to rein in the agency despite it being under his auspices. The July 5 document further said that the outgoing PM was “politically responsible” for failing to inform the parliamentary committee of control or justice authorities about the Luxembourg State Intelligence Service’s (SREL) alleged illegalities. The report was commissioned after a Luxembourg weekly newspaper published a secretly-taped conversation from 2008 between Juncker and the head of SREL at the time, Marco Mille. On tape, Mille revealed that his staff had secretly recorded a conversation involving Luxembourg's Grand Duke – the monarchial head of state – and that the sovereign was in regular contact with Britain's Secret Intelligence Service. The ensuing parliamentary inquiry revealed extensive illicit activity: the existence of 13,000 secret files on people and businesses, illegal wire-taps on business leaders, and a counter-terror operation which was in actually a front to help a Russian oligarch pay US$10 million to a Spanish spy, and even a shadowy private dealership in luxury cars, AFP reports. In June, the PM survived Luxembourg’s first no confidence vote in 150 years after the opposition Liberals and Greens accused Finance Minister Luc Frieden of pressuring the state prosecutor to stop legal proceedings against a group implicated in a series of 1980s bombings. However, the specter of a fresh no confidence vote once again hung over Juncker, who became prime minister in 1995 and is the European Union's longest-serving head of government, following the report. The PM delivered a defiant speech to lawmakers on Wednesday in which he attempted to refute allegations that he has used the SREL to bolster both him and his Christian Social People’s Party. Juncker initially refused to step down, claiming the PM should not be expected to resign over the alleged wrongdoing of a few intelligence agents. 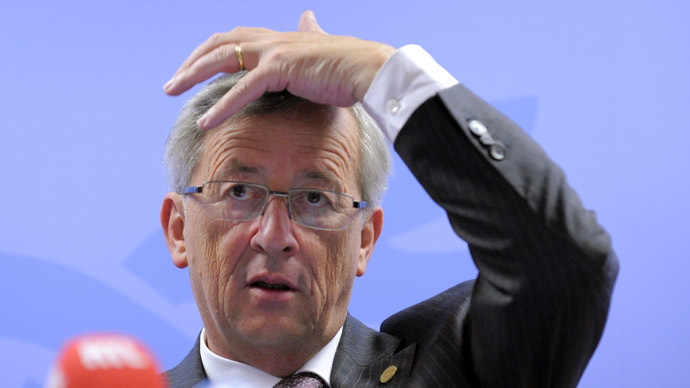 "The intelligence service was not my top priority," Juncker told parliament. "Moreover, I hope Luxembourg will never have a prime minister who sees SREL as [his or her] priority." 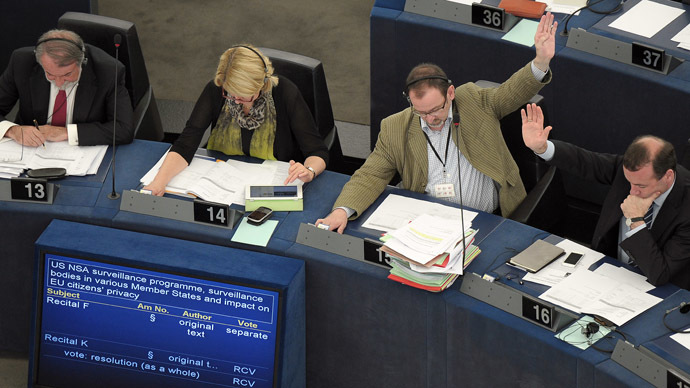 However, Juncker’s junior partner, Luxembourg Socialist Workers' Party (LSAP) President Alex Bodry, called on the PM to take” full political responsibility” for the scandal. "We invite the prime minister to take full political responsibility in this context and ask the government to intervene with the head of state to clear the path for new elections," Bodry said. Juncker, who said it would be impossible to take personal responsibility for the allegations leveled at him, ultimately resigned to avoid a vote of no confidence. "I will convene the government tomorrow morning at 10am (08:00 GMT) and will go to the Palace to suggest snap elections to the Grand Duke," he told parliament on Wednesday. As head of state, only the Grand Duke can officially dissolve parliament. In line with Juncker’s recommendation, the government will continue its work until early elections are held on October 20. It remains unclear whether the outgoing PM intends to run. Luxembourg, a tiny state nestled between Belgium, France and Germany, is viewed as a major European financial hub, where some 40 percent of the country’s 500,000 residents are foreigners working in banks and other European institutions. Juncker’s departure over intelligence service malfeasance was a major wave in one of Europe’s most politically-stable states. 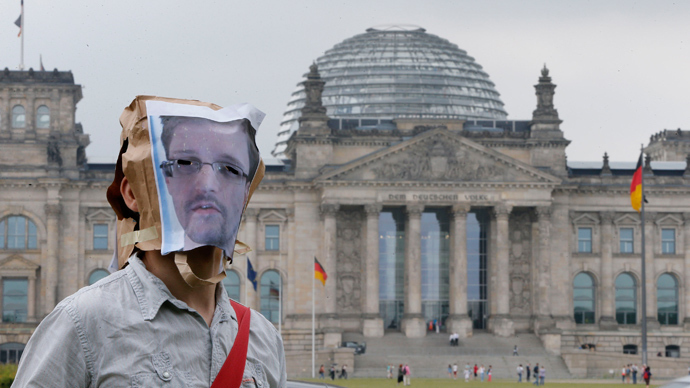 As the outgoing PM admitted the intelligence service scandal left him “no other choice than to hand in the government's resignation," other European leaders are increasingly being scrutinized for the alleged role in sweeping surveillance activities. 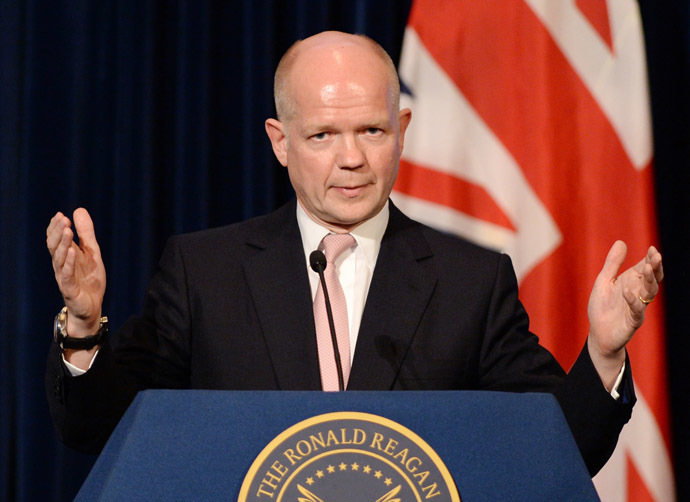 UK Foreign Secretary William Hague, who oversees the Government Communications Headquarters (GCHQ), has recently come under fire for the agency’s Tempora surveillance program, as well as its collusion with US National Security Agency’s (NSA) sweeping spying programs. Last week the European Union began investigating whether Britain had broken EU law following reports it had tapped international phone traffic and shared vast amounts of personal data with the US, an EU source told Reuters. Viviane Reding, the vice-president of the European Commission and EU commissioner for justice, wrote to Hague asking him to clarify the "scope of the [Tempora surveillance] program, its proportionality and the extent of judicial oversight that applies." 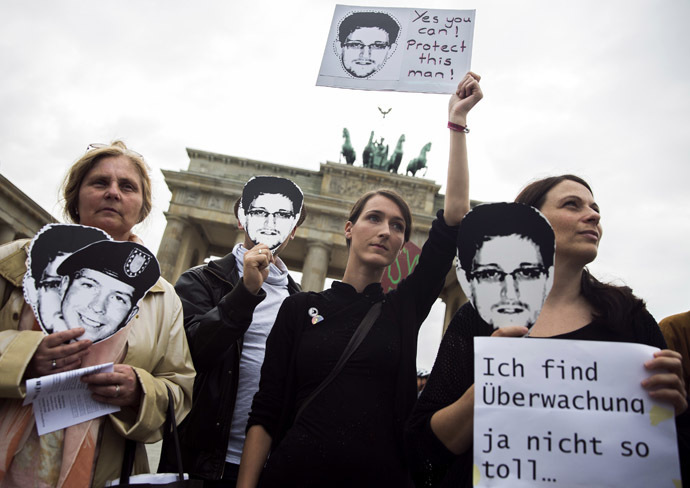 In Germany, where the US a reportedly combs through half a billion German phone calls, emails and text messages on a daily basis, NSA whistleblower Edward Snowden recently accused the country’s political leadership of ‘being in bed’ with the NSA. On Wednesday Chancellor Angela Merkel defended Germany's cooperation with US intelligence, dismissing charges its methods resembled those deployed in the former German Democratic Republic. 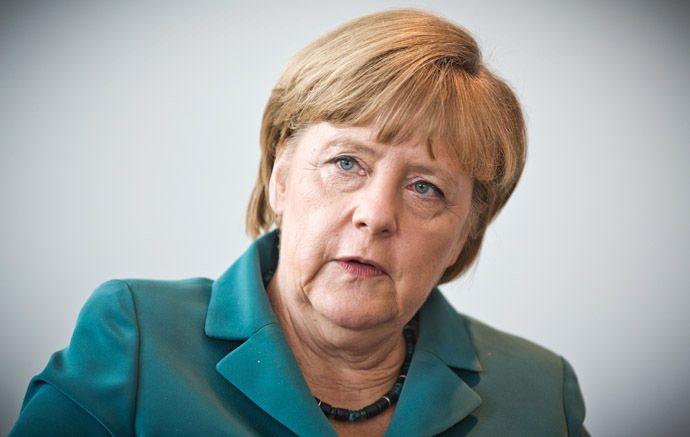 "For decades, intelligence services have been working together under certain conditions that are tightly regulated in our country, and this serves our security," Merkel told the German weekly Die Zeit. "For me, there is no comparison at all between the state security [Stasi] of the GDR and the work of intelligence services in democratic states,"she continued. "These are completely different things and such comparisons only lead to a trivialization of what the state security did to people in East Germany," she said. 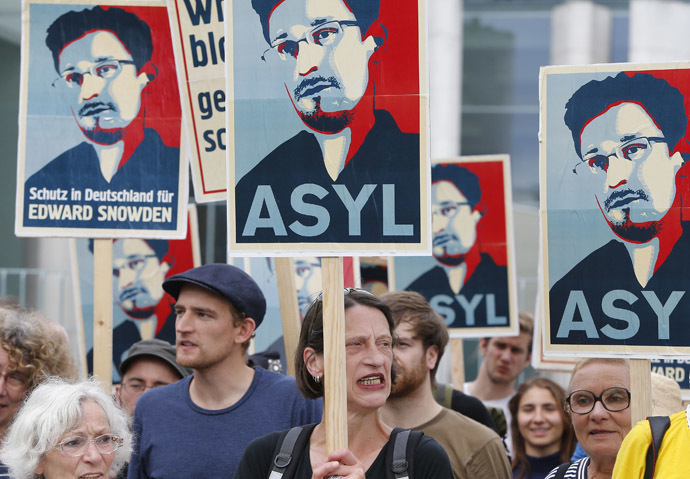 With elections slated for September 22, the center-left opposition has pounced on the issue, claiming Merkel, whose office coordinates and oversees Germany’s intelligence services, must have known more about NSA operations.